Creativity and Innovation is deeply rooted in human mankind. It's the fundament for development, progress and New ideas. Almost everyone has this potential but the usage and fullfilment and exposure has always been very restricted to a very few that received the entry-card and access to the so called major-industry defining New standards. Without the necessary tools of an industry and its value-chain (e.g. mass-media-marketing, production- and publishing-units) it was almost impossible in pre-internet-times to get your form of art (no matter if in written or in audio-form) spread around the globe. This changed with the option of xeroxed copy machines and self-recordable tape-recorders and the establishing of global networks and communities of people with similar spirits, ideas and thinking and the will to Do-It-Yourself! This website is an archive/database for those 20th Century artists and people, that exposed their own creativity in a non-commercial DIY-Way. Does it has any relevance and will it stand the test of time? - Mid 70's to late 90's Industrial / Experimental / Free Improvisation / Post- Punk / New Wave, Minimal / Synth /Ambient and further musical directions of the DIY-Cassette-Culture. Here you are able to browse and research thousands of releases, find further information about the Artists, the Organisations, Press & Label-People behind the scene and/or the published Small Print / Magazines, Information-sheets and Artists-Manifests that all defined a very exciting culture and era. Most of the releases listed here were only released in very limited amount and are hard to find these days but they had without any doubt their important role in the development of contemporary audio & sound-art and music-history. These protagonists of a DIY (Do-It-Yourself)-Culture-Movement in which everybody can be an artist, label, distributor and press-editor or organisation deserves a comprehensive overview in a broader context with all its connections and a framework. With this Database the collected, provided and connected Information can become knowledge. Knowledge that Media in Internet-Age can hardly supply with the current Information Overload. By registerring as a member on this site you will be able to view thousands of scans/photos, you can leave comments or rate releases listed in this database and interact / exchange your knowledge, you have also access to the music itself where it can be provided and/or given permission by the artist/band. Don Campau (Lonely Whistle Music) appr. 1200 Mid 80's to late 90's American Minimal/Synth/Wave and Industrial Tapes, Rod Summers (VEC Audio, Netherlands): appr. 800 70's and 80's audio-art / mail-art and sound-poetry-artists, Christian Scholz (Getraud Scholz Verlag, Germany): appr. 500 70's and 80's audio-art and sound-poetry-artists, Karl Kurz (Austria): appr. 500 80's Indie and European Minimal/Synth/Wave Tapes, Rene Peschar (Netherlands): appr. 1000 European Minimal/Synth/Wave as well as Industrial Tapes, Bob Rusche (Boudisque, Netherlands): app. 900 80's European Minimal/Synth/Wave as well as Industrial Tapes, Frans de Waard (Korm Plastics/Staalplaat, Netherlands): appr. 500 80's European Industrial Tapes, 235 Media (Germany): appr. 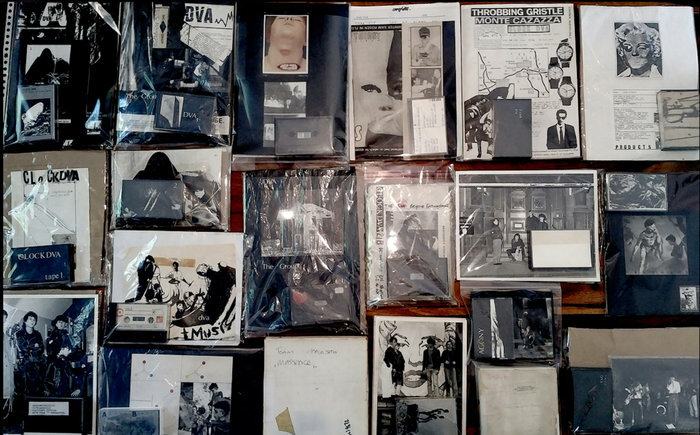 1000 80's European Minimal/Synth/Wave German Punk/Wave as well as Industrial Tapes, Graf Haufen (Germany): appr. 500 80's European Minimal/Synth/Wave German Punk/Wave as well as Industrial Tapes, T. Scholz (Cassettencombinat, Germany): appr. 300 80's European Minimal/Synth/Wave and German Punk/Wave-Tapes, Norbert Hänel (Scheissladen, Germany): appr. 300 80's European Minimal/Synth/Wave and German Punk/Wave-Tapes, Guido Hübner (Alien Artists, Das Synthetische Mischgewebe, Germany): appr. 400 80's Industrial Tapes, Robert Carlberg (Anode Productions, Synex, US): appr. 1000 80's American Minimal/Synth/Wave and Industrial Tapes, Chris Phinney (Harsh Reality, US): appr. 1100 80's American Industrial and Indie/Punk-Tapes, Chris Jones and Gordon Hope: (Flowmotion Mag UK): appr. 100 80's british Cassette-Culture Tapes, Andreas Möhring (Germany): appr. 300 80's European Minimal/Synth/Wave and German Punk/Wave-Tapes...... and hopefully YOU one day, too.